Once there was a Postman who fell in love with a Raven. This begins the story of a postman and a raven who later have a daughter, referred to as Raven Girl. She grows up as a raven in a human body, feeling misplaced in the world. Then she is given the chance to change herself and the life she has tried hard to exist in. Ever since I read the premise of this story, I was intrigued and very willing to give it a go. I only got my hands on it today and finished it in 15 minutes. It's an 80 page modern fairy tale, and there are illustrations that take up some pages. Definitely not a long read. I was quite surprised by the length, but apparently everyone else who has read it knows how short it is. Whoops. However, despite it being small it's been able to create some sort of impact on me. I'm not sure writing a review 10 minutes after reading it is the best idea but I've had enough time to mull over it. 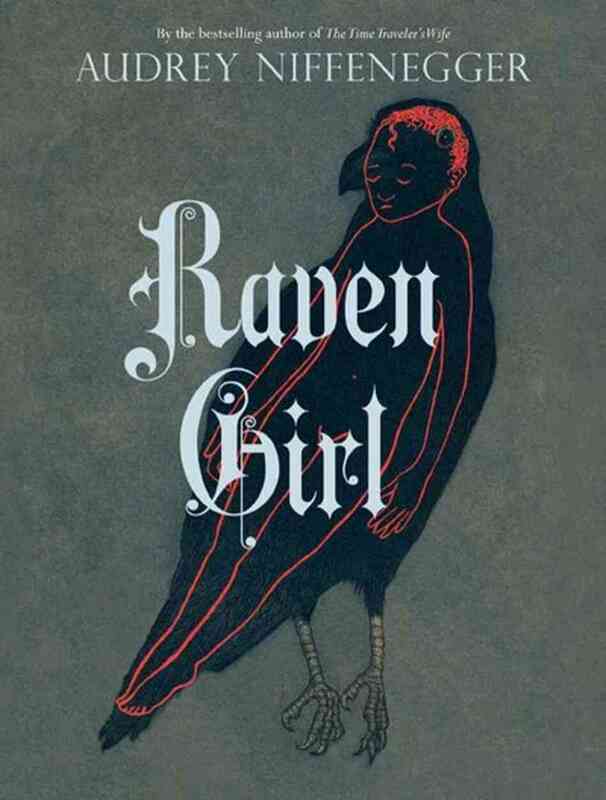 Whilst traditional fairy tales usually contain lessons on good triumphing over evil, and acting righteously is the best way Raven Girl differs a little. The dark and mysterious tone of the story meant I had to think a little about what it was trying to convey. I found that whilst it was a sweet story of love crossing boundaries and the more controversial issues of human nature, essentially the story comes down to just being who you want to be. Raven Girl felt entrapped in a body that wasn't right for her. Her entire life was lonely and she had a father who could not understand her. Eventually, she sought to become what she had always dreamed of, however absurd it was. Of course there were protests but at the end, it was the people who mattered most that accepted her for who she was. I took that from the story and loved it. It certainly brings to mind a lot of issues that are circulating, from gender to race. Somehow Raven Girl is able to disregard the different natures of a being and portal a world where anything and everyone can exist as a whole. It was written beautifully, perfect for a fairy tale. Niffenegger starts the story off with a traditional beginning, similar to "once upon a time". She gets right into the crux of things as the illustrations are able to assist in building scenery and images. The illustrations aren't very pretty but they are striking. At some points they also become quite creepy, or maybe it's just me. I noticed that the writing was predominately short sentences but when I was reading it, in my mind it sounded very much like how a parent would read a bedtime story to their child. Niffenegger has been able to create a fairy tale fit for the modern reader. I liked the interesting concept behind it and will try to find a lot more modern fairy tales to read from now on. There were still a little things I was iffy about, such as the rushed ending, but with the interpretation I got from the story I overlooked that. It is an enjoyable and haunting read. Brilliant even for some younger readers. The story is actually being made into a performance and if I can, I shall try to watch it.